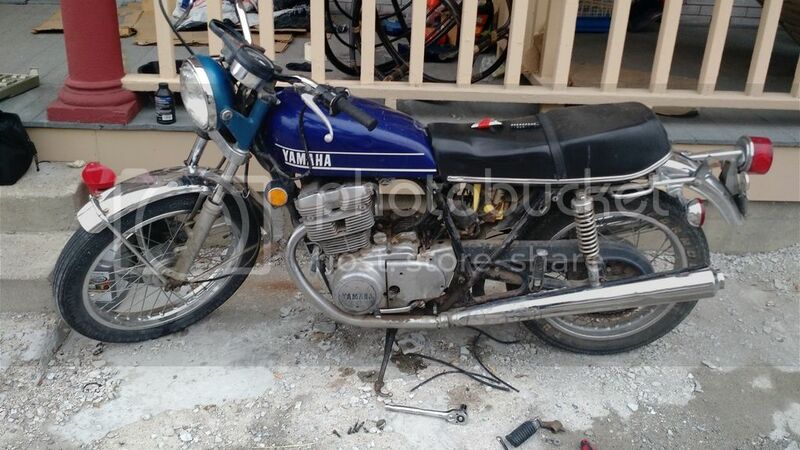 So I bought this bike last April for $300 bucks, no title, engine was free. It'd been sitting for about a decade, but mostly inside apparently. Anyway, it was complete minus any kind of filtration for the carbs. I believe that it is a XS500b. Here in Montana, it's pretty easy to get a new title, especially since this bike is below the threshold value for having to put up a several hundred dollar bond. As you can see, a pretty sick set of handlebars and a hella dope sissy bar has been fitted. The handlebars were so scary to ride it with, they were so narrow I would hit my ribcage on a totally normal turn. So, into the trash they went. After some judicious part trashing and some carb cleaning in progress. Put on a cheap pair of bars i got online. So I just today finished up the winter projects on it. Found and installed an airbox (shoutout to dvdhrry! ), adjusted valves, replaced points, replaced starter chain, and tightened up balancer chain. Before long, I'll have to find a new starter chain, I bought a used one and its still too loose, just marginally better than my other one. Also, balancer is ok for now, but I'm working on sourcing a new chain and possibly the upgraded tensioner assembly. And that godaweful taillight assembly need to go. But the next projects are the front forks as some point, then maybe cleaning up years worth of grime. Hoping to get it roadworthy enough to do some short trips in the mountains around here this spring or summer. For 300 bucks you can't go wrong. Looks like a cool project. Make sure some new tyres and some brake work are in the budget too. Is it a 73? Yeah, this summer I starting the whole deal, after trying to do the minimum failed... haha. 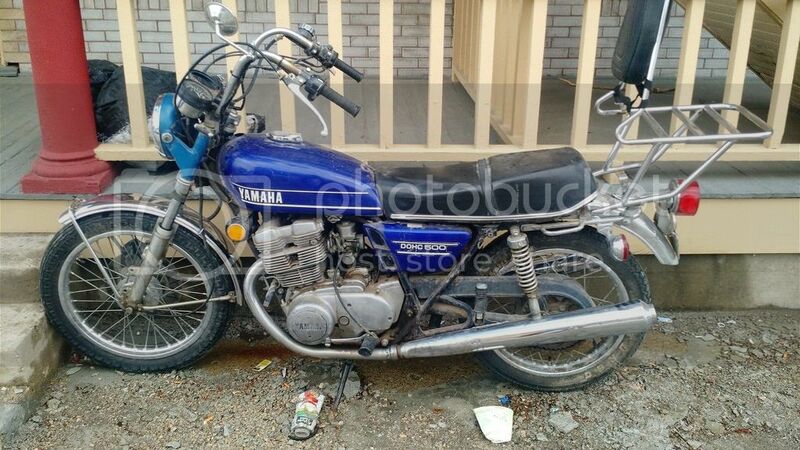 I think the plan now is to spend what it takes to turn it into a reliable, good running bike.